Irish cat names mean... magical names for your cat. Indeed, when I think of Ireland, I think of magic... and good luck. So if you are looking for Irish or Celtic names for your cat, look no further. 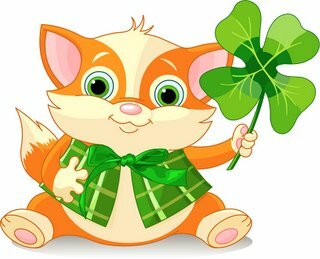 You will find here a list of Irish names for your cat or kitten. Many of the Irish names listed below are presented in their original Irish form. Others are presented in their anglicized version. I hope this list helps you find the right Irish cat name for your kitty. Undoubtedly, Celtic cat names are not only beautiful, but unique as well. And may the name you choose bring good luck to you and your kitty. If you still can’t decide on a name and need more ideas, check the links provided below.